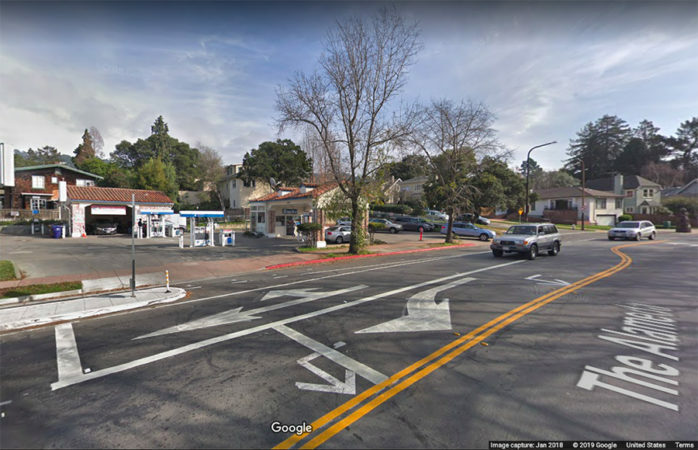 A commercial burglary was reported at a North Berkeley Chevron gas station early Friday morning, according to a Nixle alert released by Berkeley Police Department on Monday afternoon. At 1:44 a.m. Friday, two suspects threw bricks at the windows of the gas station, located at 1201 The Alameda, and broke in, taking more than $7,000 worth of cigarettes, according to the alert. Based on video surveillance, the suspects appear to be two men wearing dark clothing. The alert added that the two men fled the scene in a white SUV with two other suspects inside. Amanda Bradford is an assistant news editor. Contact her at abradford@dailycal.org and follow her on Twitter at @amandabrad_uc.